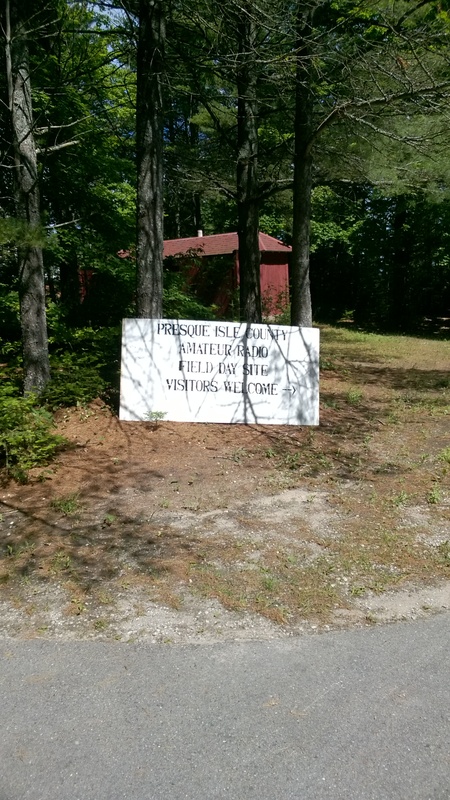 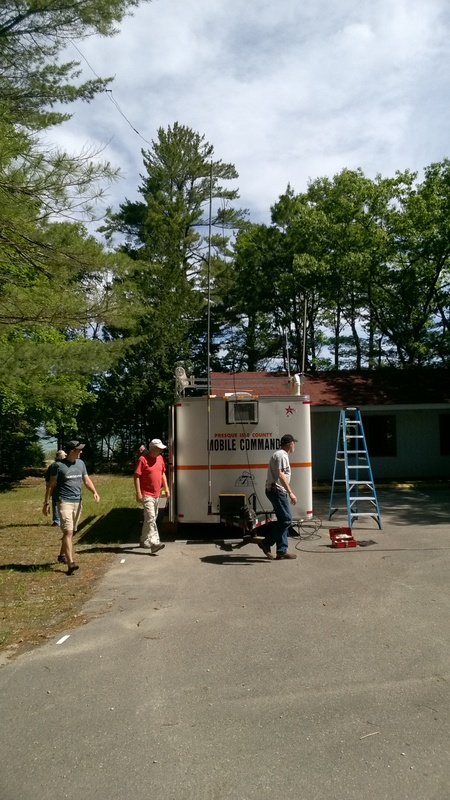 Presque Isle County Amateur Radio Club participated in Field Day 2017. 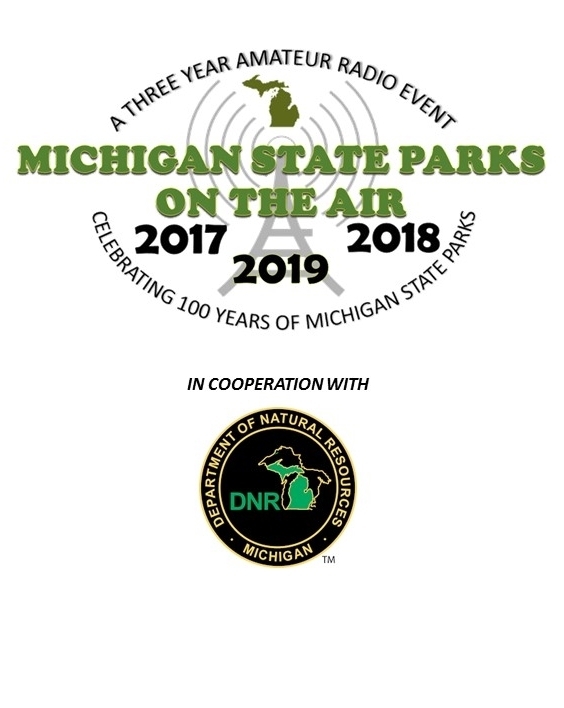 We activated on June 24 and 25 at the 40 Mile Point Lighthouse. 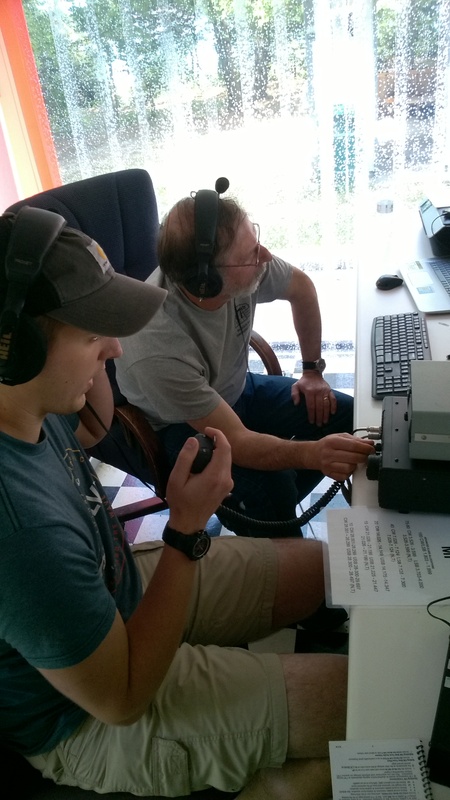 We were on the air around 2PM local time (1800 UTC). 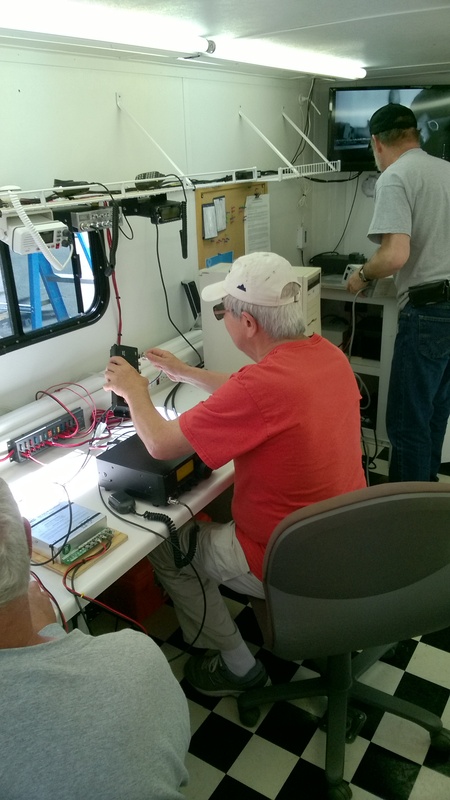 2017 Field Day results for WB8TQZ: 145 phone contacts, 16 digital, 49 of 83 sections worked. 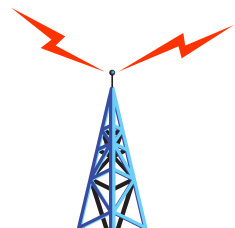 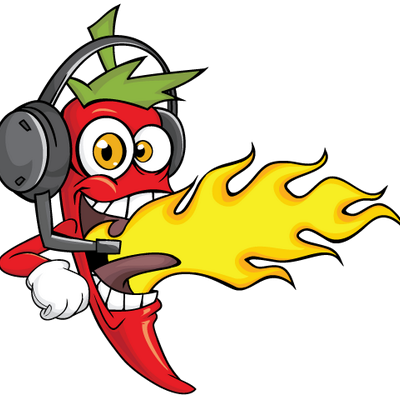 Check out the ARRL Field Day Locator. 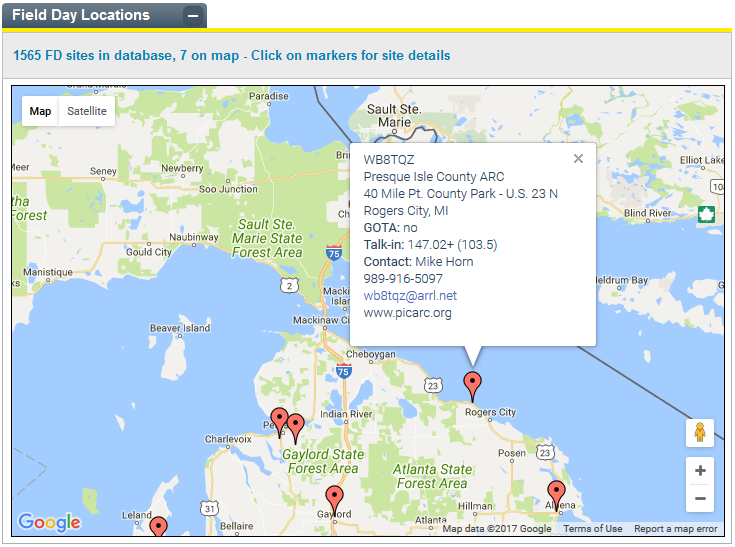 Here is a copy of our site location and info. 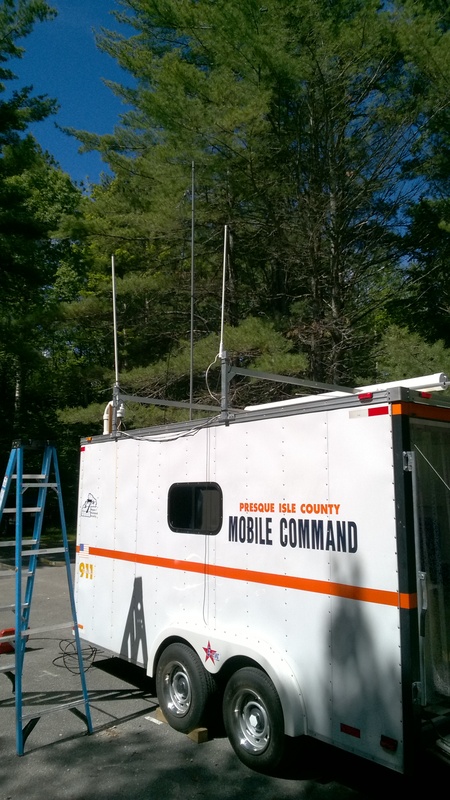 Antennas and PI County Mobile Command Trailer. 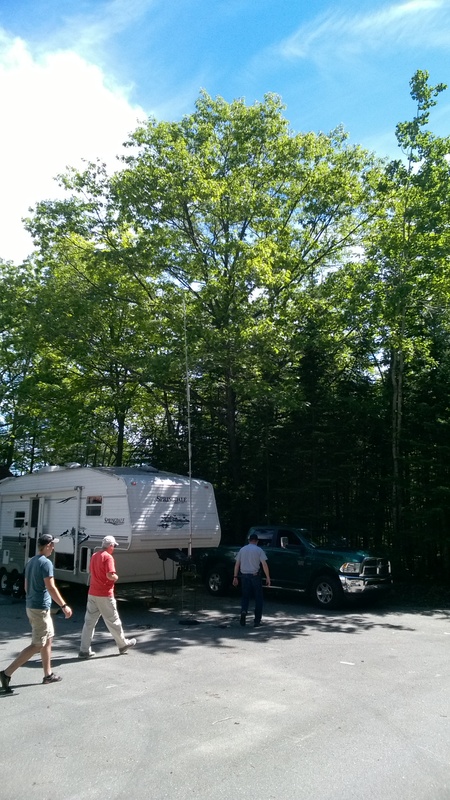 Vertical Antenna on 5th Wheel and Setup Crew. 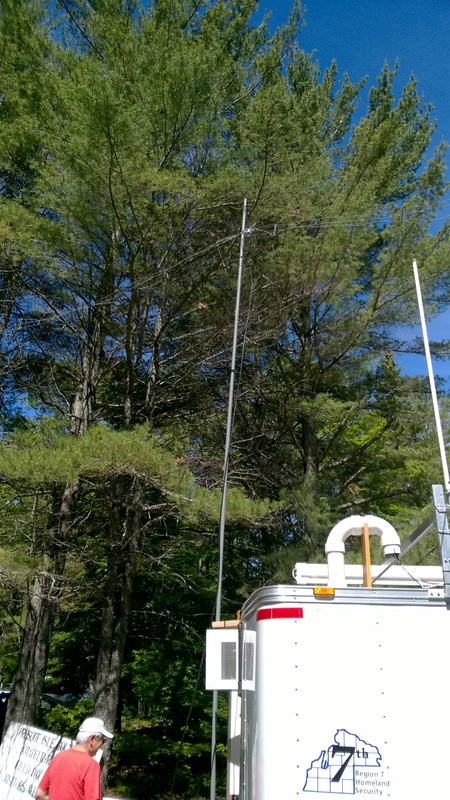 Field Day sign and WB0CZI with XYL. 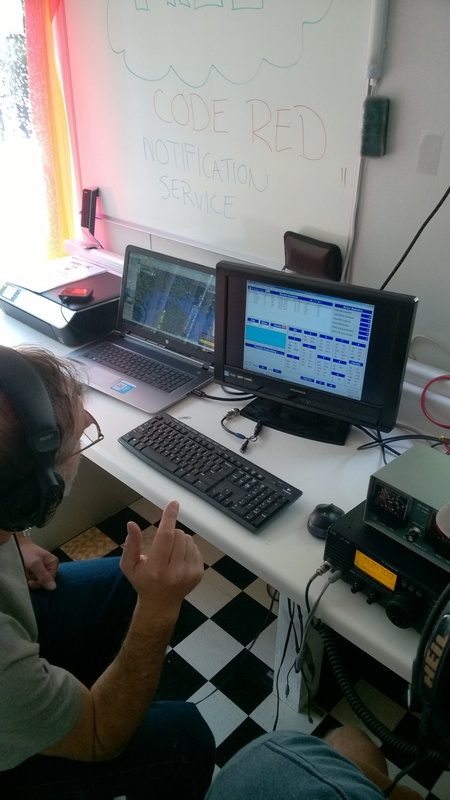 WS9F at Rig and WBTQZ with KE8ZD during QSO. 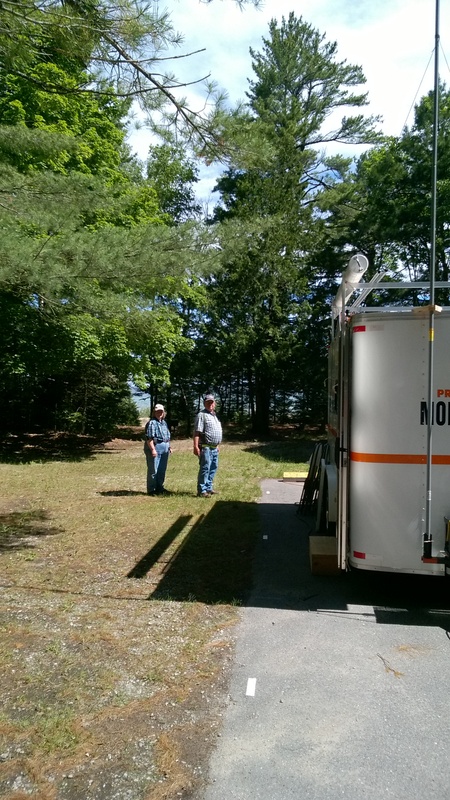 WB8TQZ and logging QSO. 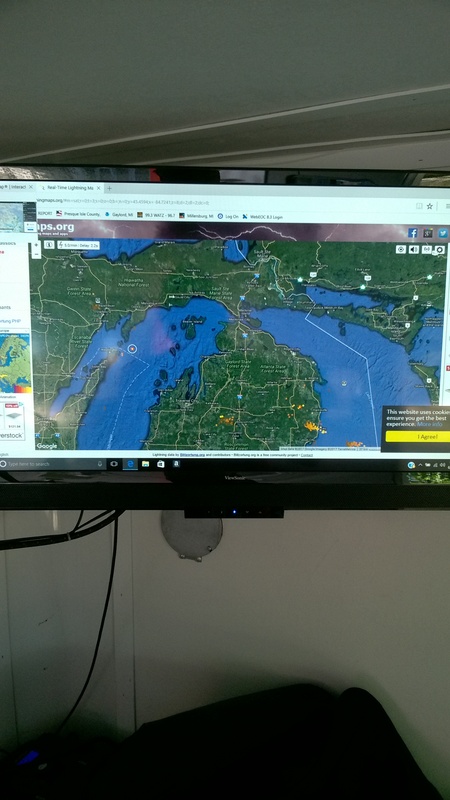 Monitoring Lightning situation.